ELEGANCE is a simple, elegant and enjoyable portfolio (with Shop Layout) for creative people and agency / business. 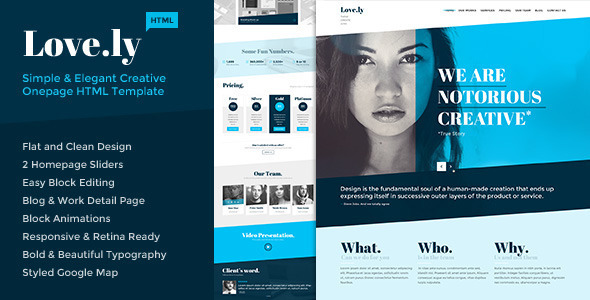 This HTML5 template with unique layout and minimalist design will express your portfolio with beauty and perfection. Shop Layout (static site) included!